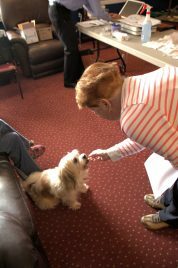 On Wednesday, November 2, 2016 the Groton Animal Foundation sponsored a health and wellness project for pets of residents at Windham Falls Estates in Groton. 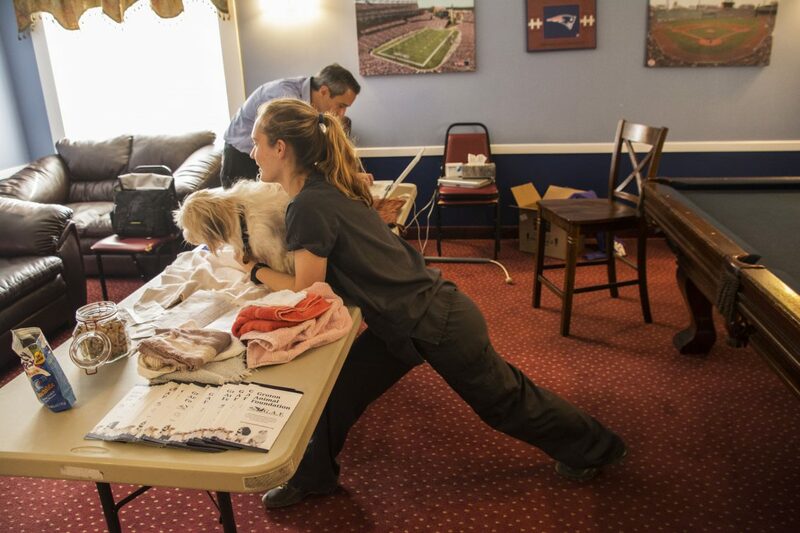 Dr. Lawrence Monteiro from Four Paws Veterinary Services performed health and wellness examinations with help from veterinary tech, Mindy. The team verified rabies vaccine status and administered inoculations when necessary. In cases where major health issues were identified, the resident’s family was offered follow-up care. 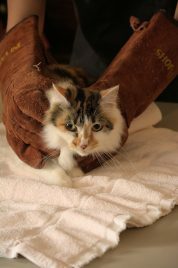 If the resident and/or the family cannot afford care, GAF will consider funding on a case-by-case basis through our vet bill subsidy program. Given the success of the program on Wednesday, GAF will look to expand this project to other senior residences in the future. 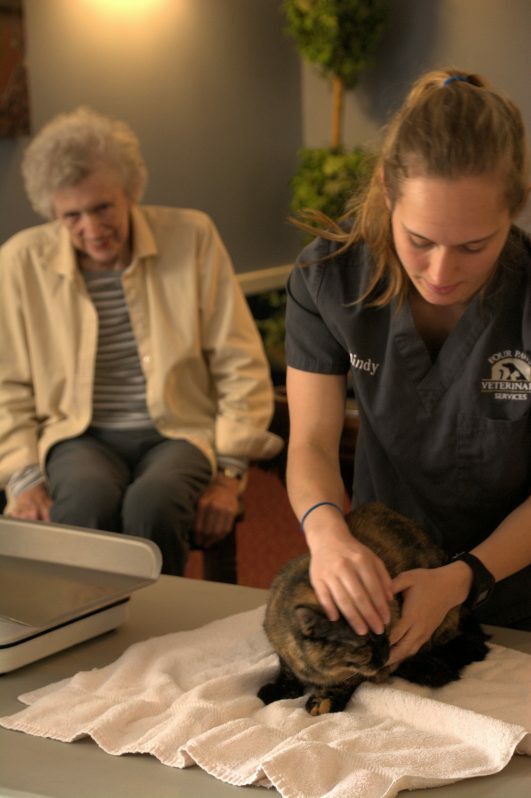 Mindy gives Shell a check as her owner looks on. Dr Monteiro and Mindy give Shell a check. Donna visits with the pets waiting to see the doctor. 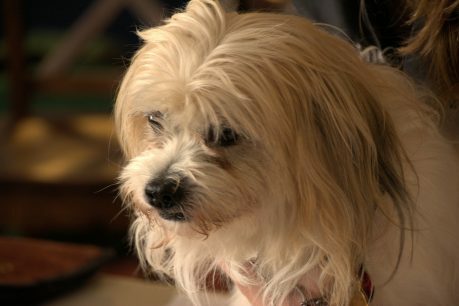 Mindy gives Annie a check. Mary gives Java a treat while he waits his turn. Dr Monteiro discussing Java’s exam with his owner. 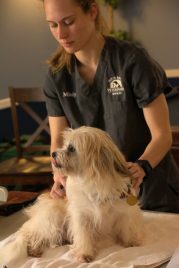 Mindy and java at Wednesday’s pet wellness clinic. It’s Java’s turn. He did great. Dr Monteiro and Mindy give Java a check.